If you use Windows 7, 8 or 10, then you have a huge range of VPNs to choose from. 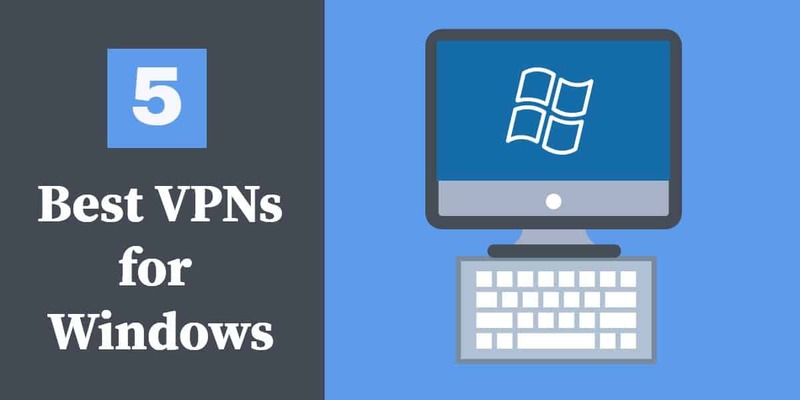 We'll show you the best VPNs for Windows and how to set them up. Windows users have their pick of the litter when it comes to VPNs. As the most popular operating system in the world, almost every VPN service caters to Windows users. Most of their apps work on all recent versions of the OS including Windows 7, Windows 8, and Windows 10. The ubiquity makes it difficult to narrow down the criteria by which to judge the best Windows VPN. The best VPN for unblocking Netflix and Hulu on Windows, for example, might not be the best VPN for torrenting on Windows. Because of that, we looked for the best VPNs for Windows with the best all-around performance, security, design, and customer support. Note that all of the VPNs on this list should also work with recent Microsoft Surface models, which run full Windows 8.1 and Windows 10 operating systems. A VPN, at its core, is a privacy tool. Microsoft has built some known tracking and advertising features into Windows 10 that impose on users’ privacy. The company has a history of cooperating with the NSA in bulk data collection, as exposed by Edward Snowden. For these reasons, we prefer VPNs that keep no logs of user activity and are based outside of the United States. ExpressVPN is incorporated in the British Virgin Islands, which is beyond the jurisdiction of both the USA and UK governments. It keeps no traffic logs and uses the strongest available security, including 256-bit AES encryption and perfect forward secrecy. Users can choose from over 1,500 servers located in 94 countries. Live chat support is available around the clock. ExpressVPN can unblock Netflix, Hulu, BBC iPlayer, Amazon Prime Video, and HBO Now as of time of writing. Speeds are generally fast and reliable, ensuring fast downloads and high quality streaming video without buffering. A kill switch and leak protection come baked into the app. Apps are also available for MacOS, iOS, Android, Linux, and certain wifi routers. BEST VPN FOR WINDOWS DEVICES:ExpressVPN is our top choice. Reliably unblocks all major streaming services with exceptional speeds for buffer-free HD viewing. Top-notch security and privacy. Try it risk-free with the 30-day money back guarantee. Panama-based NordVPN offers customers specialized servers such as anti-DDoS for super stable connections, ultra-fast streaming for high-quality video, double VPN for extra privacy, and Tor over VPN for extra anonymity. It stores neither traffic logs or metadata logs on users. NordVPN uses strong channel encryption and customer service responded quickly to support tickets in our testing. NordVPN can unblock Netflix, Hulu, Amazon Prime Video, BBC iPlayer, and HBO Now as of the time of writing. NordVPN operates more than 1,100 servers in over 60 countries. You can choose servers from a map or a list. Speeds are decent and in most cases should be enough to stream video in HD and quickly download files. Best Budget VPN:NordVPN is a good value all-rounder. A great value option which works well with most streaming services, including Netflix. Great privacy and security credentials. 30-day money back guarantee. Romania-based CyberGhost upped its game in the past year with a slew of new servers, features, and websites it can unblock. The company doesn’t keep any logs of user activity nor their real IP addresses. Connections are reliable and CyberGhost scored well in our speed tests. The tunnel to the VPN server is secured with 256-bit AES encryption. Live chat is available to help during European business hours. The Windows app allows users to choose their server not only by location, but according to what they want to use it for. Whether you want to bypass a firewall put in place by a country’s government or your office management, secure a public wifi connection, or unblock a specific streaming site, CyberGhost has you covered. You can even choose a server based on the specific streaming site you want to unblock, which at this time includes Netflix, Amazon Prime Video, BBC iPlayer, and more. Additional features include anti-tracking and ad blocking. Apps are also available for MacOS, iOS, and Android. BEGINNERS CHOICE:Cyberghost is simple to set up. Another budget choice with good security features, but can be found lacking with some popular streaming sites. 45-day money back guarantee. Switzerland-based VyprVPN is the only major provider to own and operate all of its own data centers around the world. That guarantees quick speeds and top-notch stability, not to mention airtight security. Excellent apps make installation and use a breeze, and monitoring usage is simple with real-time visualized feedback. Users can live chat with customer support should they encounter any problems or concerns. VyprVPN can unblock US Netflix as of time of writing. VyprVPN is a favorite among users in China. It’s a veteran when it comes to bypassing the Great Firewall censorship system so you can access all your favorite news, social media, and entertainment while in China. User friendly:VyprVPN is reliable. Excellent speed and uptime as all servers are owned by VyprVPN. Not the cheapest option. 30-day money-back guarantee. Sweden-based PrivateVPN is a relative newcomer in the VPN market, but it’s growing fast. Despite it’s smaller network of servers, speeds are excellent and it has been able to unblock almost everything we’ve thrown at it thus far. That includes Netflix, Hulu, BBC iPlayer, Amazon Prime Video, and more. You can connect up to six devices at one time on a single plan. Live chat support is available during business hours. PrivateVPN does not log users’ activity nor how they use the VPN. You can choose between TAP and TUN interfaces, which are protected with 128-bit and 256-bit AES encryption, respectively. A kill switch and leak protection come built in. Up to 6 Devices:PrivateVPN good family choice. Unblocks popular geo-blocked sites. Also good for browsing and torrenting. Could do with having more servers and lacks 24/7 support. 30-day money back guarantee. All of the VPN providers we recommend above make their own apps for Windows. 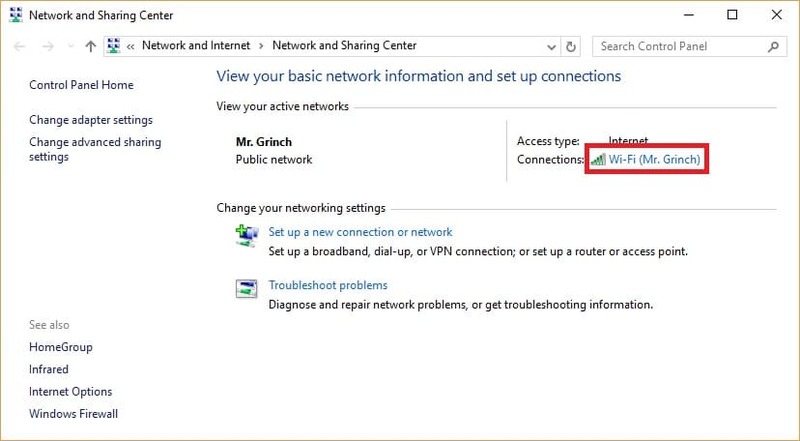 Windows does have built-in support for VPNs, but it requires manually configuring a connection for each server you wish to connect to. This can get tedious quickly, plus you won’t be able to take advantage of all the features built into the providers’ apps. These include kill switches, leak protection, auto-reconnect, etc. 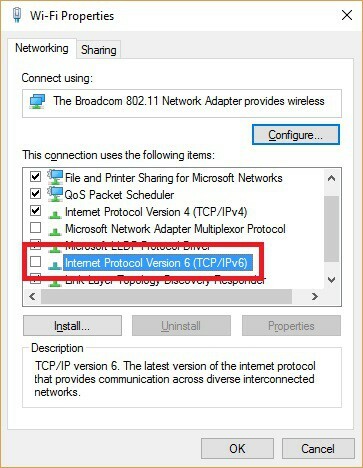 Furthermore, the baked-in support for VPNs in Windows is limited when it comes to protocols. Windows doesn’t support OpenVPN by default, which is open-source and generally considered the most secure. Sign up for an account with the provider of your choice. Download the app for your version of Windows from the provider’s website. (Optional) Select a server. Most VPN apps will connect you to the nearest server if you don’t choose one. If you want to unblock content that’s restricted to a certain country, for example, select a server in that country. And that’s it! Most VPN apps will notify you when the connection is ready. It typically takes less than 30 seconds. Any internet traffic going to or from your computer will first be encrypted and travel through the VPN server. What about Windows Phone and Windows 10 Mobile? While VPN apps are practically omnipresent for desktop versions of Windows, the opposite is true when it comes to Microsoft’s unpopular mobile operating systems. Therefore, the criteria by which to judge a VPN provider on Windows Phone 8.1 and Windows 10 Mobile deviate from the desktop criteria. For this reason, we’ve written a separate article detailing the best VPNs for Windows Phone and Windows 10 Mobile here. Likewise, we have another list made specifically for Windows 10 VPN recommendations. So-called “free VPNs” are best avoided. While they don’t require payment like those on this list, they can actually reduce your privacy by injecting tracking cookies and advertisements into your web browser. Furthermore, they typically have data caps and bandwidth limits, not to mention a far more restricted range of servers. As a general rule of thumb, if you’re not buying the product, then you are the product. 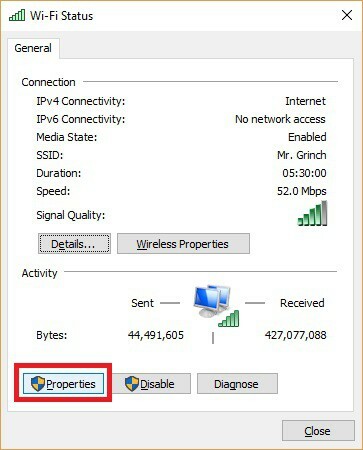 In more recent versions of Windows, the operating system sends DNS requests for web pages using both the IPv4 and IPv6 protocols, simultaneously. Whichever one comes back first is used to establish a connection with a web server. This helps web pages load faster–often by only a few milliseconds–but it can cause problems when you’re trying to unblock a geographically restricted website like Netflix or Hulu. Most commercial VPNs are only equipped to handle IPv4 requests. Those IPv4 requests go through the VPN tunnel and are resolved by the VPN provider’s DNS servers. But if the IPv6 request bypasses the tunnel and is sent over the normal non-encrypted network, it will go to the nearest public or ISP-run DNS server, revealing the user’s true location. The DNS server mismatch is a dead giveaway for websites like Hulu and apps like Netflix, which will return an error saying the user must first disable the proxy before watching a video. It also lets your ISP snoop on your activity, although to a lesser degree than if you were not using a VPN at all. 13 What about Windows Phone and Windows 10 Mobile? 8 What about Windows Phone and Windows 10 Mobile?